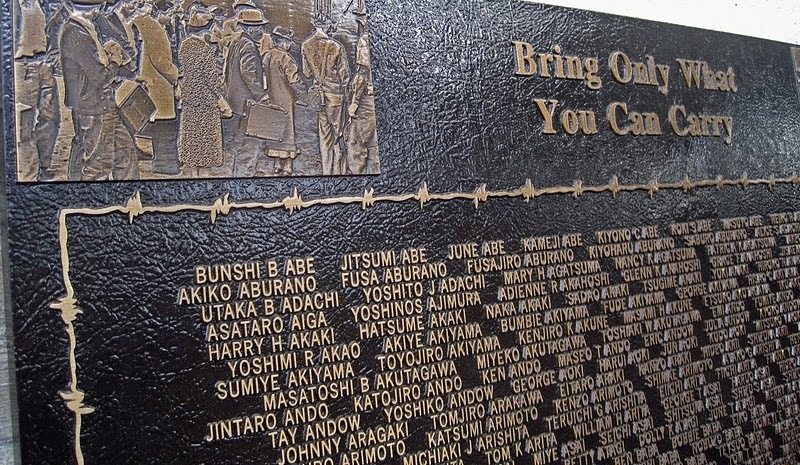 "Only What you can Carry"
The orders came down in 1942, striking fear into the hearts of Japanese-Americans of Merced County and Northern California. The children were unsure of their futures and their parents secreted the harsh realities from them. The families were told to abandon their homes and bring only what they could carry and report to the Merced Assembly Center at the County Fairgrounds. By Executive Order 9066, signed on February 19, 1942, Japanese-Americans would be interned against their will. After suffering through the heat of the summer, the families were relocated to Amache, Colorado- some incarcerated for the duration of WWII. 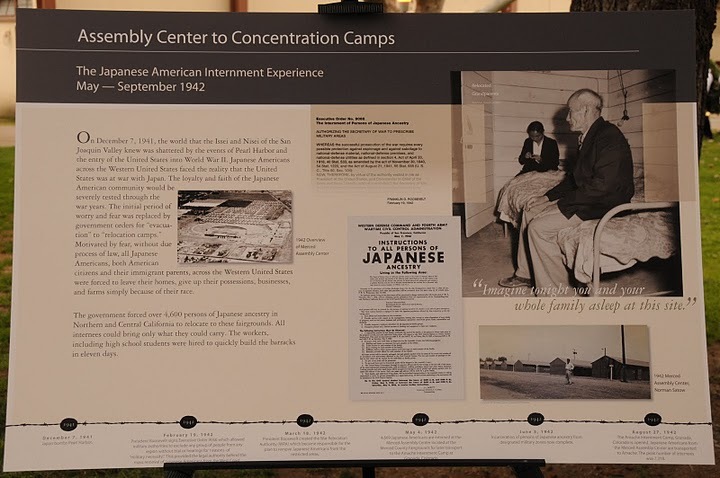 In the spring of 2008, Congressman Dennis Cardoza, (D-18th District) requested the Livingston-Merced and Cortez chapters of the Japanese-American Citizens League (JACL) to work on a monument to commemorate the 4,669 Americans of Japanese ancestry detained at the Merced Assembly Center located in the Merced County fairgrounds. The Commemorative Committee and its Advisors with the support and help of many people have worked 2 years on making the Memorial a reality. The Memorial was unveiled and dedicated on February 20th, 2010. The event was a huge success thanks to the support of many individuals, the Merced County Fair Board, Merced Country Supervisors, Civic Groups, and the Community. Around 1,500 people attended the Dedication and 875 people attended the Dinner.The Committee continues seeking grants and donations to help finance this $300,000 project. Future endeavors will involve educating the public about the significance of this incarceration in America’s history. Merced County Fairgrounds, 900 Martin Luther King Jr. Way, Merced, CA 95341.